After bonding over a commitment to create iconic products made to be used and re-used, we are excited to announce that we’re partnering with Blunt Umbrellas for Christmas. As a special offer from Monday 3 December till Sunday 9 December you can buy a limited-edition Blunt umbrella and matching IdealCup – “Blunt + IdealCup” – in a choice of three beautiful pastel shades for $119! 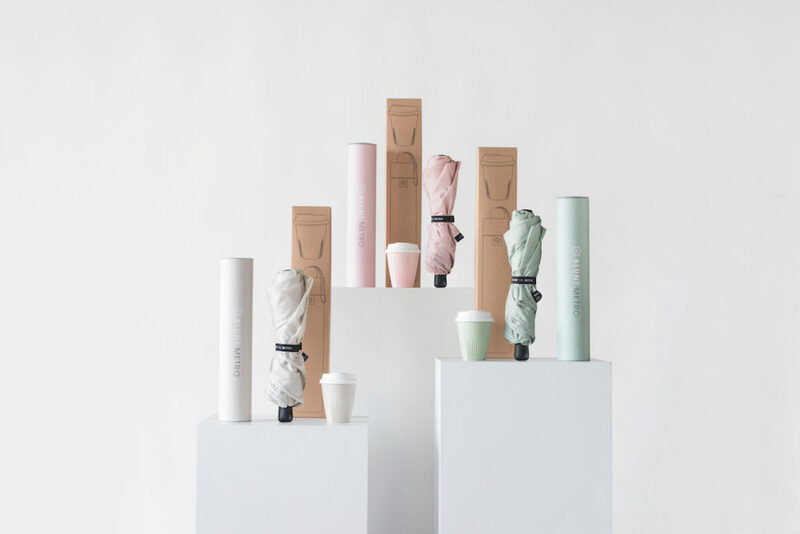 Each umbrella and matching IdealCup comes packaged in recyclable cardboard, so you can lighten your footprint with style, or buy a quality, long lasting and sustainable gift for friends and family. Just 500 of each colour limited-edition umbrella and IdealCup has been produced and our friends at Blunt tell us they are expected to sell out fast. Blunt Umbrellas aim to make the world’s strongest umbrellas and lay claim to creating the only umbrellas on the market with fully tensioned canopies. Since entering the market in 2009, design critics and press alike have bestowed Blunt with such accolades as a “revolution in umbrella design”, a “structure that falls between a suspension bridge and a NASA space probe” (​The Wall Street Journal), and an umbrella with “architectural integrity as unbroken as the dome of St. Peter’s” (​Wired).